Bitcoin Bubble About to Burst? Not So Fast! For every social media darling claiming to have struck it rich with Bitcoin, there’s a prominent investor calling it a fraud or bubble, see here and/or here. You’d probably want to trust Warren Buffett over @MrMoneyBags on Twitter, right? As the College Football Analyst, Lee Corso, likes to say, “Not so fast my friend!” The funny thing about bubbles is that they usually aren’t deemed as such until after they have burst. That makes pinning Bitcoin a bubble ready to burst very difficult. Following the housing market crash, Forbes wrote an article detailing the five steps of a bubble. The following will look at where Bitcoin may fit into the stereotypical bubble. 1.) Displacement: A displacement occurs when investors get enamored by a new paradigm, such as an innovative new technology or interest rates that are historically low. Bitcoin, or better yet, blockchain technology, seems to fit the bill here. Blockchain is being tabbed as an extremely disruptive technology for many industries. Many people see Bitcoin as the way to invest in the underlying technology. 2.) Boom: Prices rise slowly at first, following a displacement, but then gain momentum as more and more participants enter the market, setting the stage for the boom phase. During this phase, the asset in question attracts widespread media coverage. Fear of missing out on what could be an once-in-a-lifetime opportunity spurs more speculation, drawing an increasing number of participants into the fold. Again, the description of boom sounds very similar to what is taking place with Bitcoin. There are now more Coinbase accounts (a way to purchase Bitcoin and other cryptocurrencies) than there are Charles Schwab brokerage accounts. Coinbase’s mobile app has also become the number one app on Apple’s App Store, even overtaking the extremely popular social media apps. 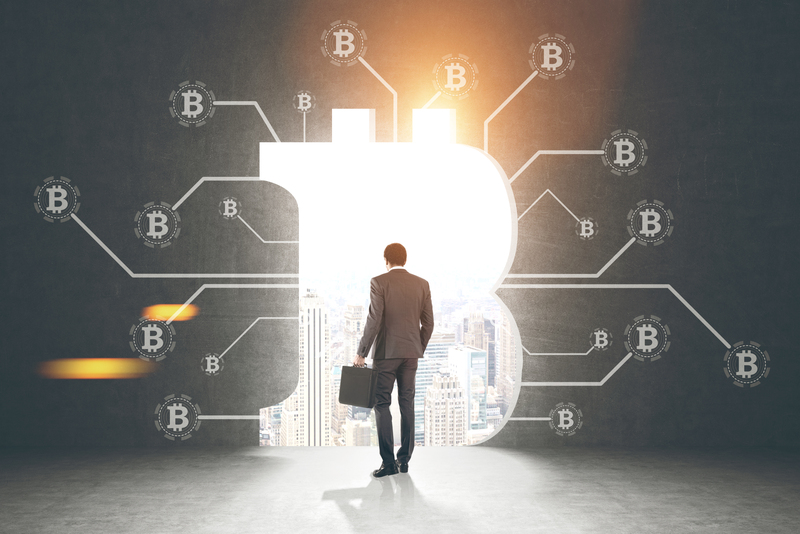 Bitcoin has made its way into mainstream pop culture as well, a recent episode of the popular TV series, The Big Bang Theory, revolved around the discussion of Bitcoin. The chart below shows the trend in the Google search, “How to buy bitcoin,” interest has skyrocketed in the 4th quarter. These things all show the gain in interest that has taken place in Bitcoin. 3.) Euphoria: During this phase, caution is thrown to the wind, as asset prices skyrocket. The “greater fool” theory plays out everywhere. During the euphoric phase, new valuation measures and metrics are touted to justify the relentless rise in asset prices. Step three seems to be where we are today – Euphoria. On November 26, 2017, MarketWatch wrote an article citing that Bitcoin had hit $9,000, gaining $1,000 in just 7 days, its fastest $1,000 gain to that point. That was only the beginning. It then took just 3 days to hit $10,000 and hit $11,000 within that same day. But things were just getting started. In a 26-hour window, December 6-8, the price moved from $13,700 to over $17,100! A 1% gain each hour! The chart below may look like a multiple year growth chart for a successful investment, instead it’s the 12 days from November 26-December 8. In that period, there was a point Bitcoin was up over 100%. This is not typical behavior of an investment, especially a currency no less! At this point you may be ready to yell out that Bitcoin is surely a bubble ready to burst. Steps four and five show the unwinding of a bubble. 5.) Panic: In the panic stage, asset prices reverse course and descend as rapidly as they had ascended. Investors and speculators, faced with margin calls and plunging values of their holdings, now want to liquidate them at any price. As supply overwhelms demand, asset prices slide sharply. The problem with Bitcoin is that there is no way to tell how long euphoria may last. You can point directly at examples that follow steps one through 3, but that’s where things become difficult. People were calling Bitcoin a bubble at the start of 2017, and all it’s done is return over 1500% year-to-date! At this point I don’t think anyone truly knows where Bitcoin is headed. It could go to $50,000 just as easily as it could go to $0. As previously mentioned, bubbles usually aren’t deemed as such until after they have burst. Therein lies the problem with Bitcoin, trying to time a bubble can be extremely difficult and dangerous. This is where we, as investment advisors, can point to some of our fundamental beliefs when talking about Bitcoin. First, diversification is extremely important. This is true even more so when dealing with a highly volatile investment such as Bitcoin. If one were to take a small position in the asset, diversifying your portfolio would allow you to participate in the potential gains, while not putting your whole investment at risk. Bitcoin also brings to light the importance of looking for sources of alternative returns. In a time when expectations for future returns are lower, keeping an open mind to alternative investments can help enhance returns, while providing diversifying effects. At CLS, we actively look for new opportunities to enhance returns, but with diversification and Risk Budgeting continuously in mind. Because Bitcoin is such a wildly volatile asset it is difficult to give it a true risk score. Given this, while the Bitcoin frenzy rages on, for now, we will watch from the sidelines. All the while keeping an eye out for alternative investments, but ones that we feel we can more properly evaluate.